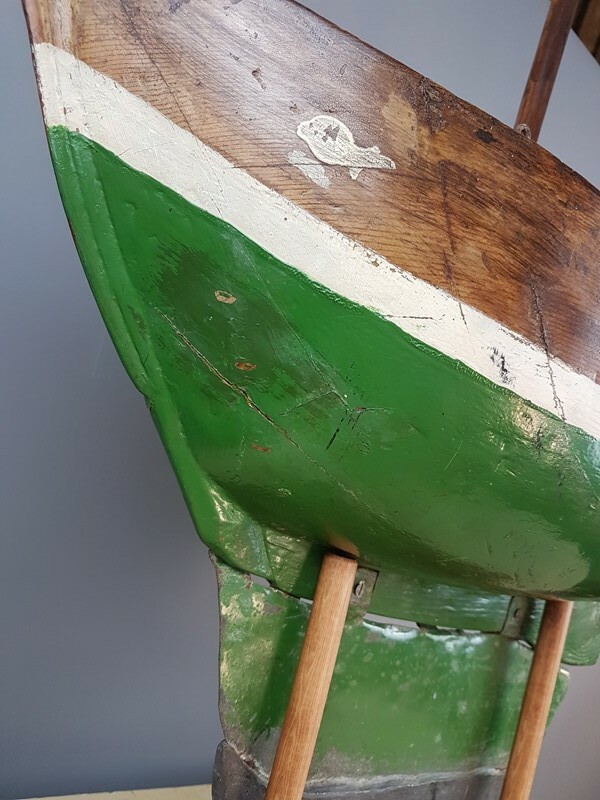 A very nice large and decorative folk art galleon with old paint and lead keel. It is on a recent stand for display purposes. On stand it measures 60cm long by 21cm wide and stands 71cm high.